Home » Website Building » WordPress » How to Upload Media Files in WordPress? How to Upload Media Files in WordPress? Uploading and maintaining media files in WordPress is very easy if you have understood how it works and taken precautionary actions. Media files include images, videos, PDFs or any other documents you want to attach to your post or page content. How to Upload a Media File in WordPress? Login to your WordPress admin panel and navigate to “Media > Add New”. Select the files from your computer or drag and drop in to the multi-file uploader. Once the files are uploaded you can view them under “Media > Library”. 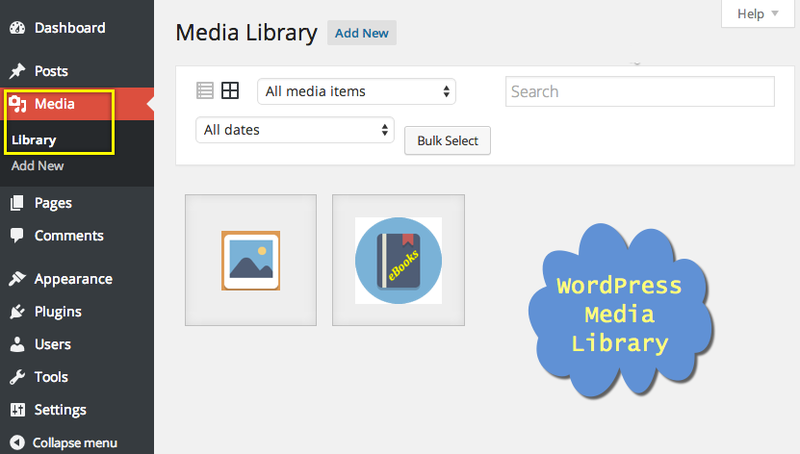 Media library allows you to take bulk actions like attaching images to posts or deleting them. The other way to upload files is to directly add from the visual editor. When you are creating or editing a post click on “Add Media” button to upload files to your site. These files will be attached to the post / page you are creating or updating. You can edit the image within post editor by clicking on it and selecting the edit button or from the media library. 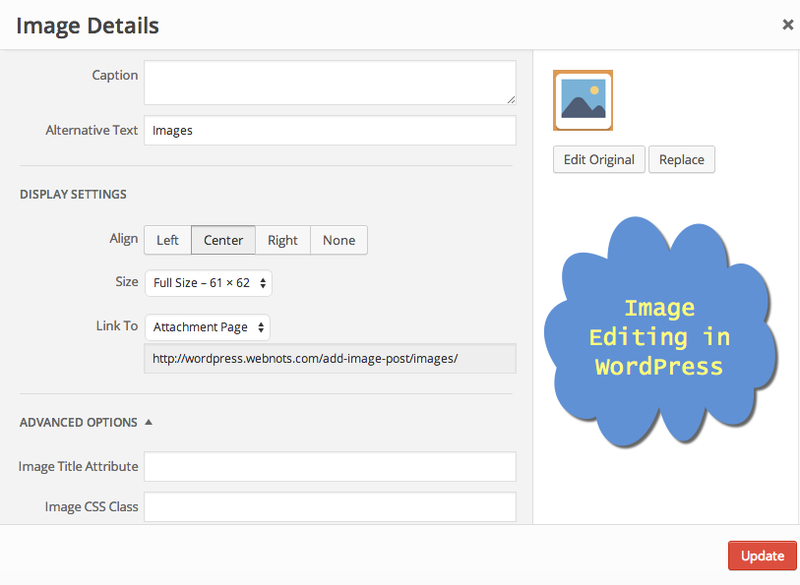 WordPress image editor allows you to crop, resize, align, set link and permanently delete the image. Well, though media management looks very easy at the first look there are some points to be considered before carry on with building your site. Each image uploaded in media library will have multiple thumbnails according to the requirement of the theme and installed plugins. For example, all WordPress default themes use three thumbnails (in addition to the original image) and most modern themes with sliders use not less than ten thumbnails to use in related posts, landing page slider and sidebar widgets. These will quickly multifold the number of files uploaded in your site and unknowingly you will exceed the file count limit set by the hosting company. Ensure to restrict unnecessary thumbnails by theme, plugins and WordPress default settings. Learn more about WordPress thumbnail management. WordPress treats each uploaded media files as equivalent as separate posts with unique URL. This will be very useful for photography sites where the user can click on a photo and read more details about it in a separate page. But for normal usage this will be a confusing feature. Consider an example, a user found a link from Google search and landing on the image attachment page showing only the image instead of the actual post it is attached with. Learn how to redirect image attachment page to parent post URL. All media files are stored in “/wp-content/uploads” by default and you may need to change this for security and fast loading. Learn more about change WordPress media folder within and outside the domain. Featured image of a post is the one shown when the content is shared in social media like Facebook or Twitter and in the blog feed or category pages. If no separate image is assigned as featured image then generally the first image will be used in the shared snippets. Images are the major reason for the slow page loading time since each image needs to be requested by separate HTTP request to server. Hence before using lots of images on a page consider the purpose of doing so. One option is to compress the images to reduce the size without loosing the quality.